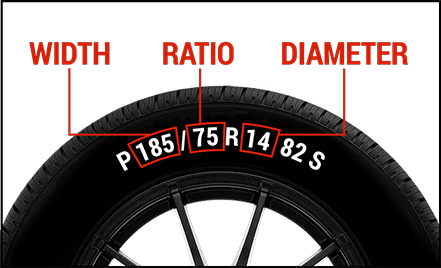 Switching to Bridgestone Ecopia tires can save you money at the pump. Enter your vehicle information and local fuel price to see just how much you could save. Based on the type of vehicle you drive and the average cost of fuel in your area, we can calculate the average estimated savings you’ll benefit from when you switch to Ecopia tires. At Bridgestone, we're constantly looking for ways to do better by our environment. We've even dedicated the month of April (Earth Month, not coincidentally) to celebrating sustainable action. We call it Rethink Green, and it's a fun part of our One Team, One Planet initiative, which works to help ensure a healthy environment for current and future generations. Bridgestone's Teens Drive Smart program includes a half-day driving experience, where teens get instruction from highly trained experts, helpful resources for parents and teachers and our ongoing blog with fresh updates and useful tips from our team. Sell a tire, recycle a tire - that's the idea behind Bridgestone's Tires 4ward Recycling Program, an initiative that works toward ensuring that for every Bridgestone tire sold in the U.S., one spent tire (that's a tire that's no longer in use) is given a valuable second life.